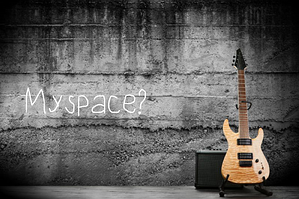 Myspace recently caused a stir after announcing they had lost millions of music, video and image files uploaded prior to 2015. The site reported that data was corrupted during a server migration. Lots of questions remain as to why there was no valid backup or archive to restore lost files. This incident raises the reliability of long-term storage on social media platforms and web sites. Not having a local copy meant that many Myspace users irretrievably lost part of their personal cultural history. And it's hardly fair to blame these users for this loss; they believed their data was safely stored on the platform. Myspace could have (should have) budgeted for a valid long-term archiving solution. Or at least got in touch with a not-for-profit group such as archive.org to preserve their digital content. They would appear to have neglected the basic rule of data archiving which states that at least three data copies must be kept on separate media. If the original file is corrupt, the backups and archives will also be corrupt so testing file integrity and performing restores should be a given. Keeping a trace of legacy digital music, film and image files is a genuine subject of concern when economic issues lead to data loss, or poorly managed or inexistant migration or archiving projects. On top of this, rapidly growing storage volume requirements have pushed up storage costs even if GB storage costs continue to drop. And because of rising storage costs, many of our customers continue to request and deploy tape storage as a valid and popular archiving target. According to ESG, it is seven times cheaper to archive to LTO tape compared to all-disk storage over 10 years. They factored hardware and software costs, media outlay, storage subsciptions, energy use and staffing costs to show that 1 PB of data over 10 years would cost $2.4 million on LTO tape compared to $16.8m on all-disk or $13.9m on hybrid disk and cloud.